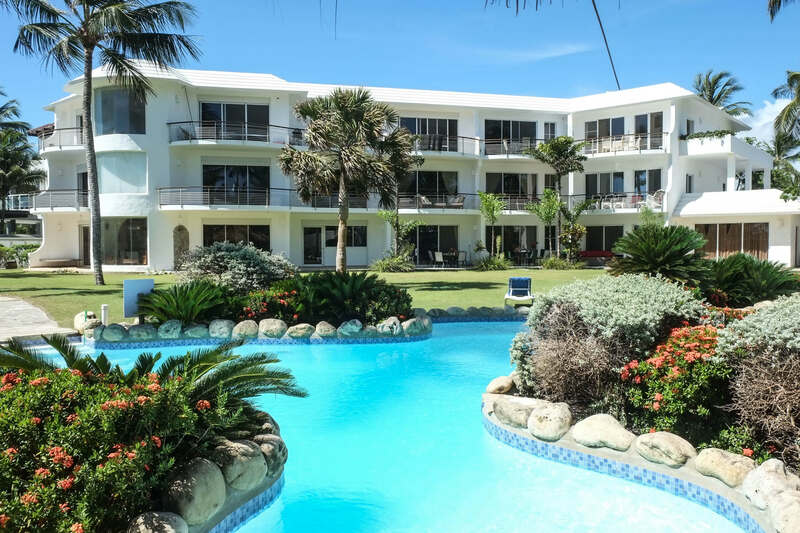 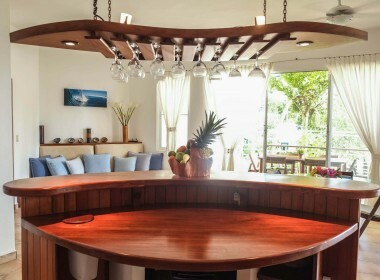 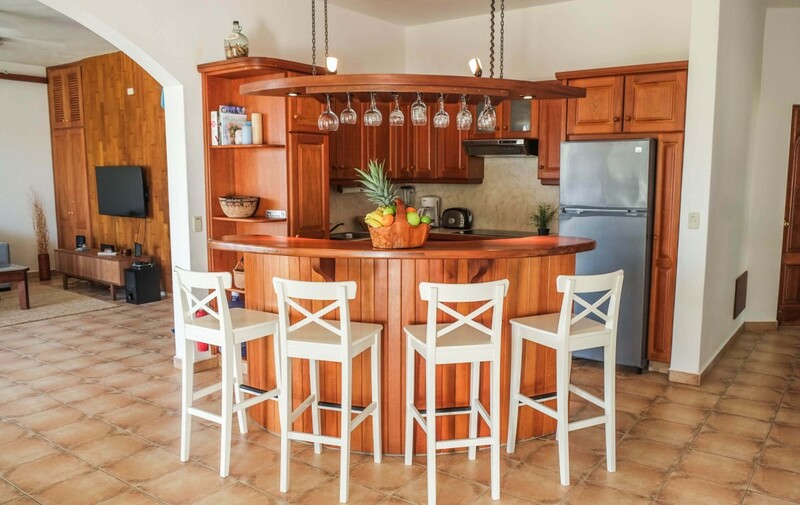 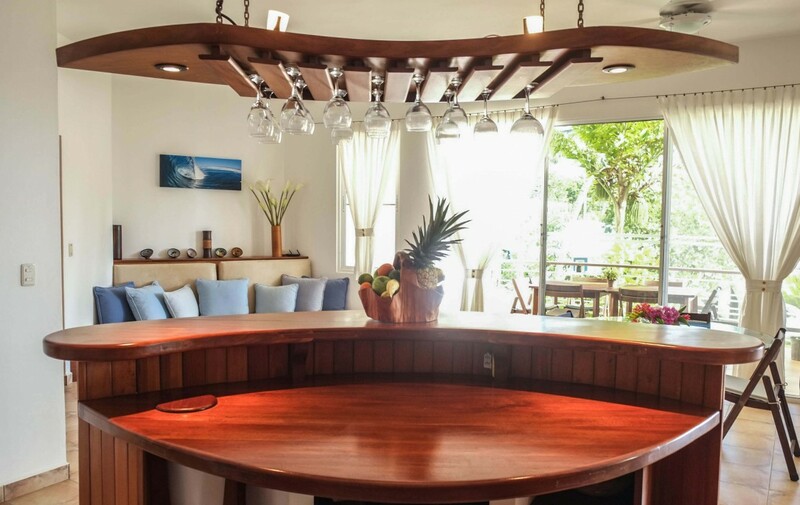 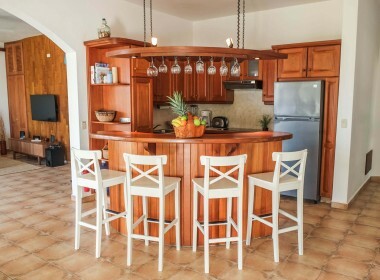 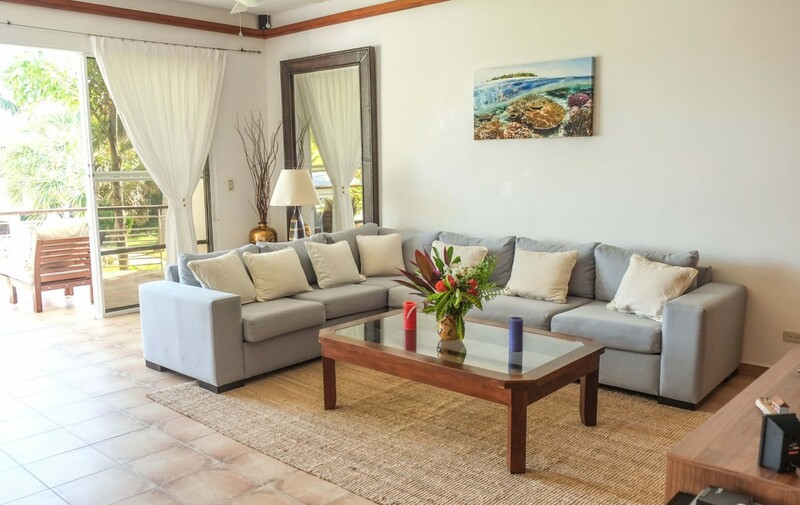 Located in the center of Cabarete Bay, Olas de Oro is a premier vacation resort. 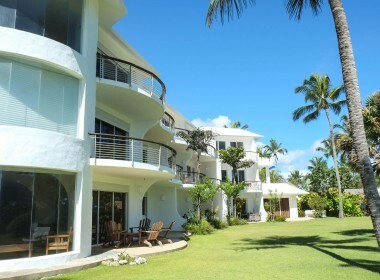 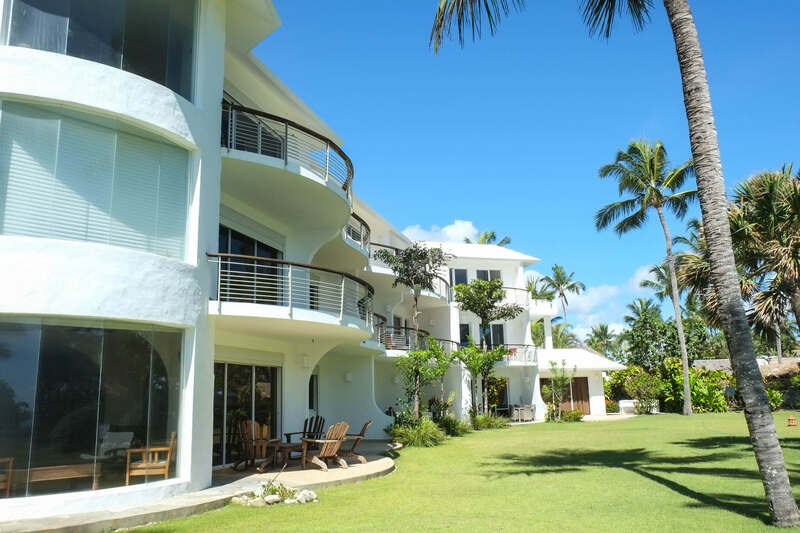 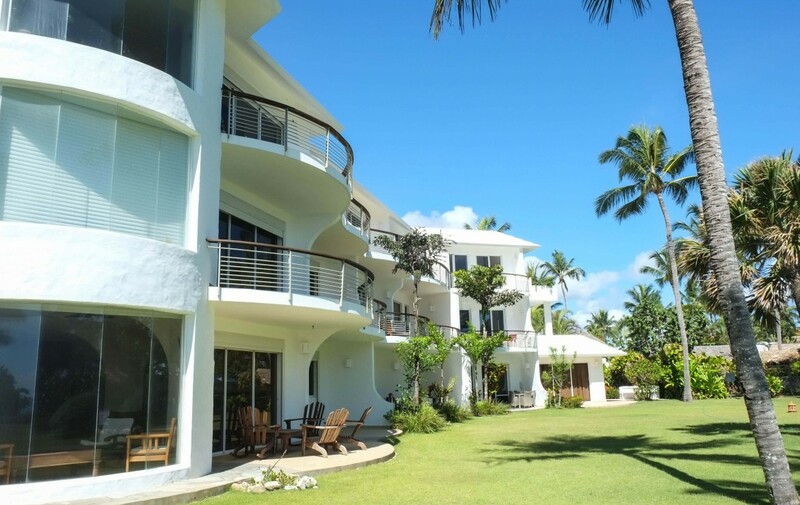 This beautiful gated community offers private Villas and beachfront luxury Apartments. 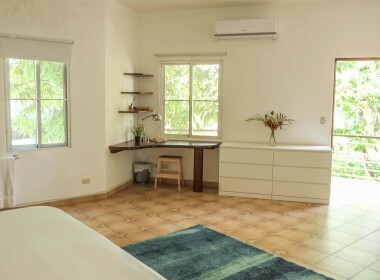 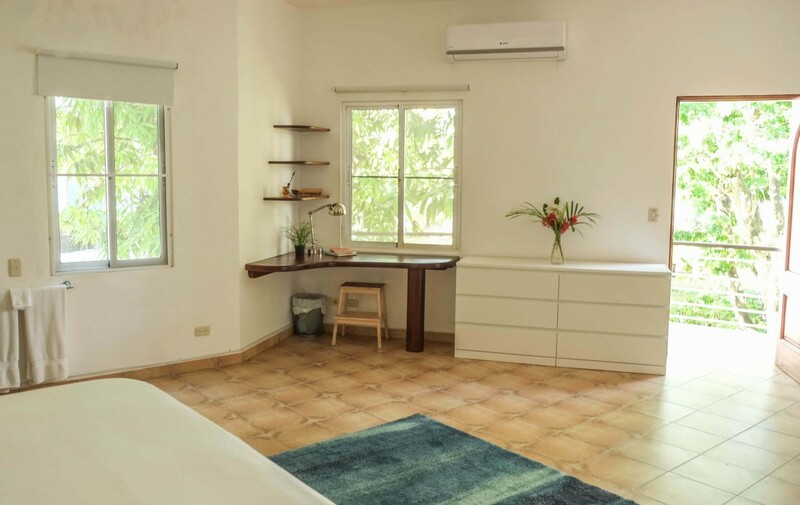 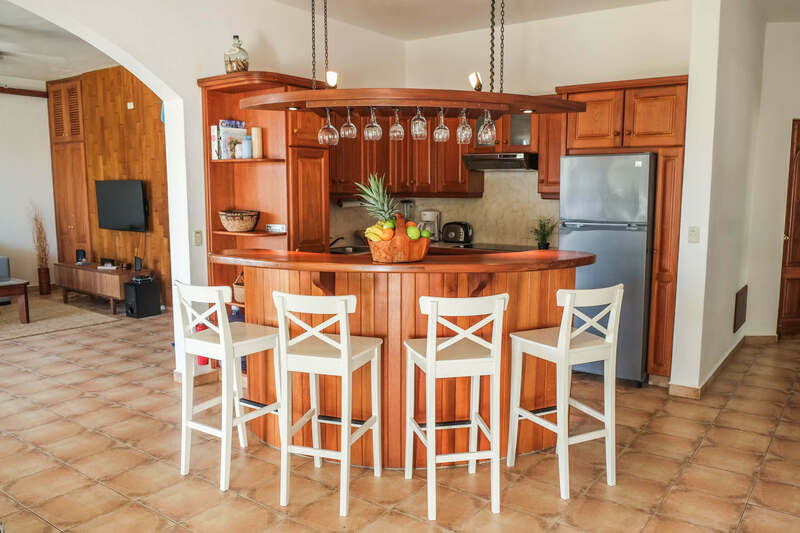 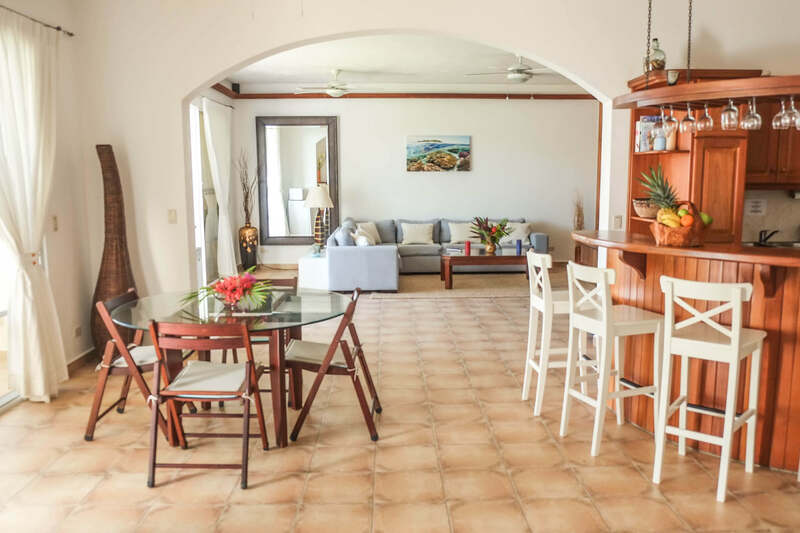 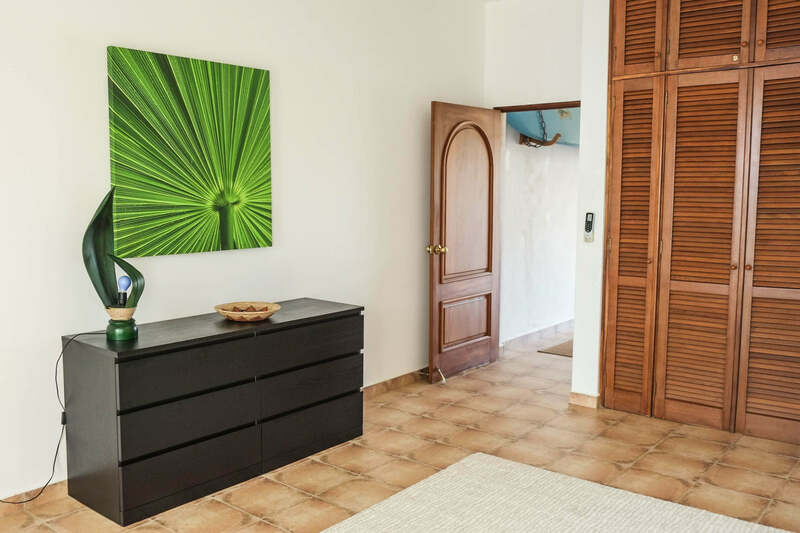 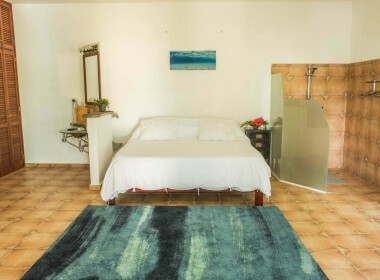 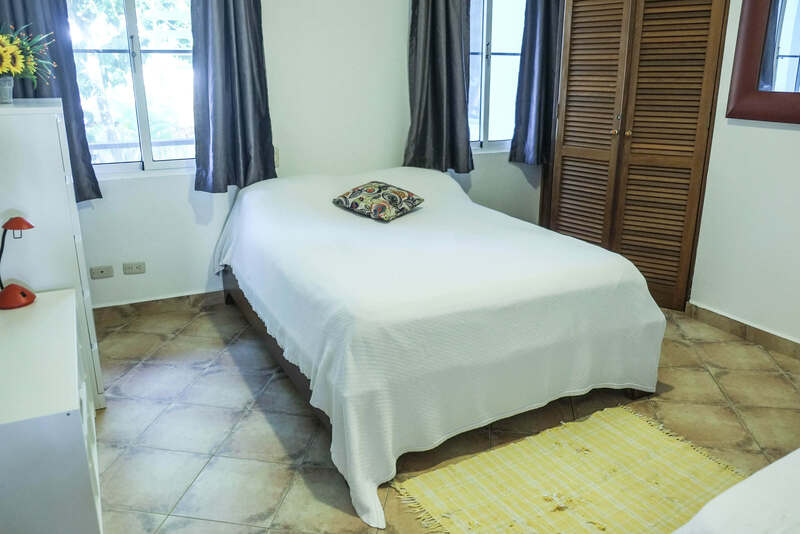 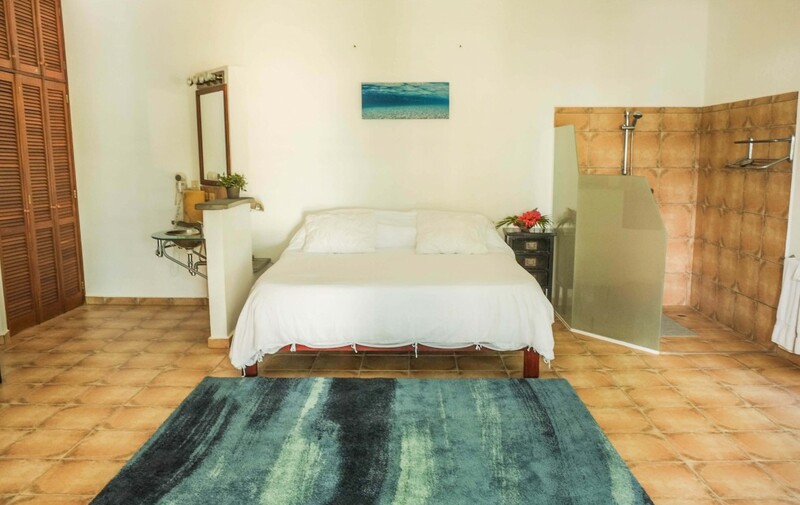 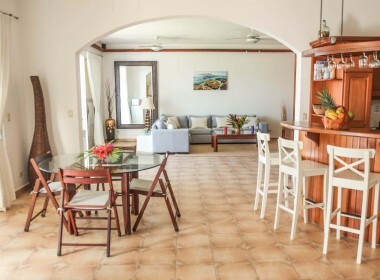 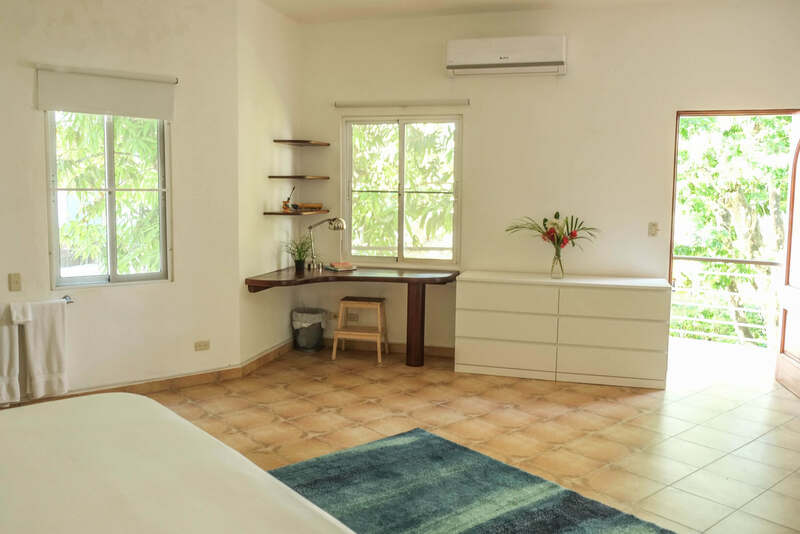 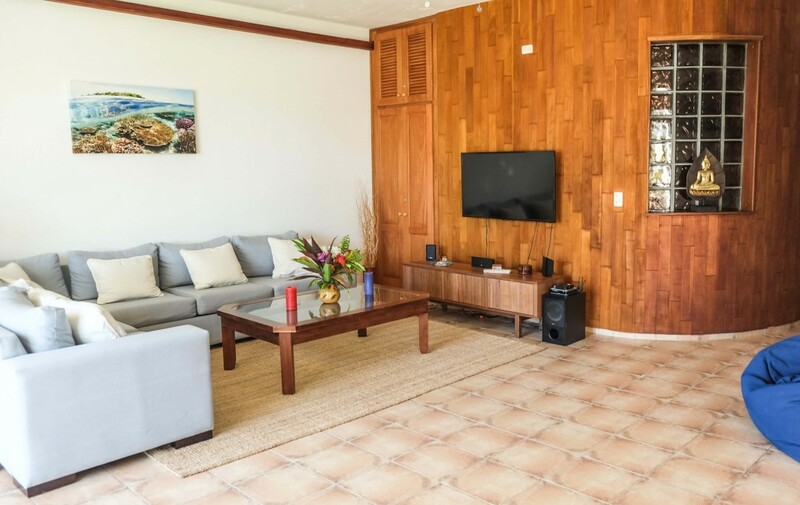 Founded and developed in 1990 with a Caribbean style architecture, Olas de Oro is surrounded by a tropical natural garden and is strategically located 5-minute walk to restaurants, shopping, and main attractions. 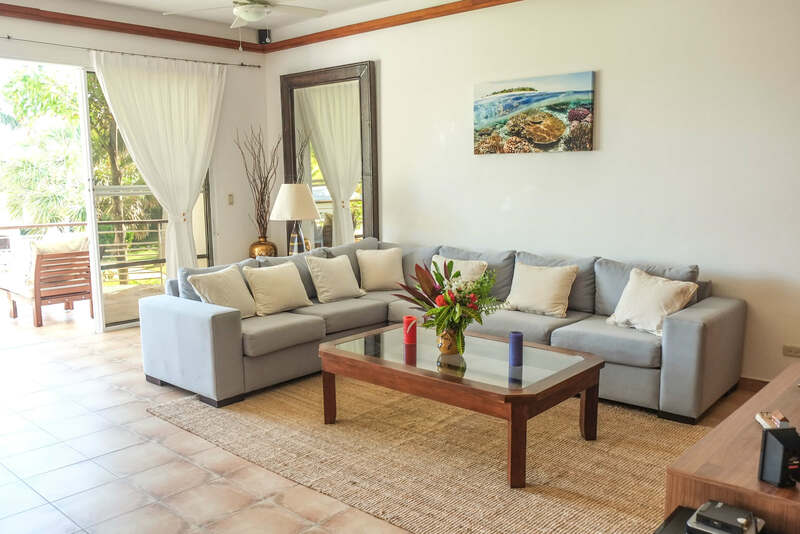 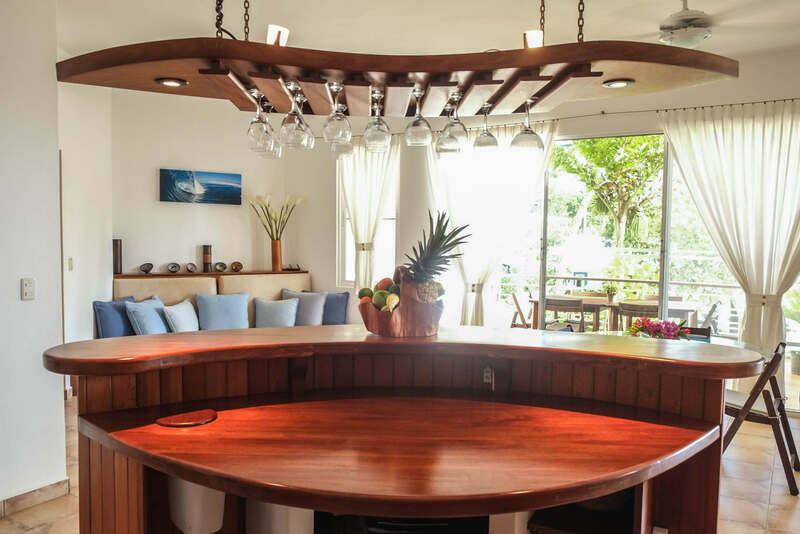 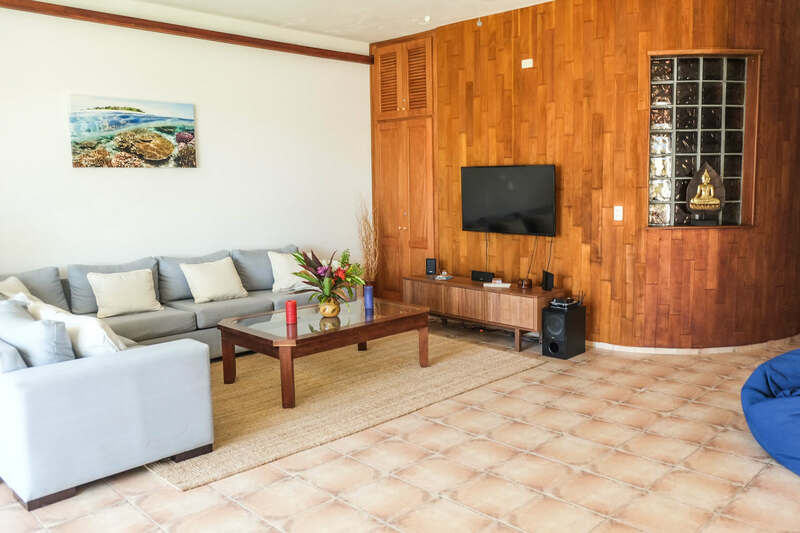 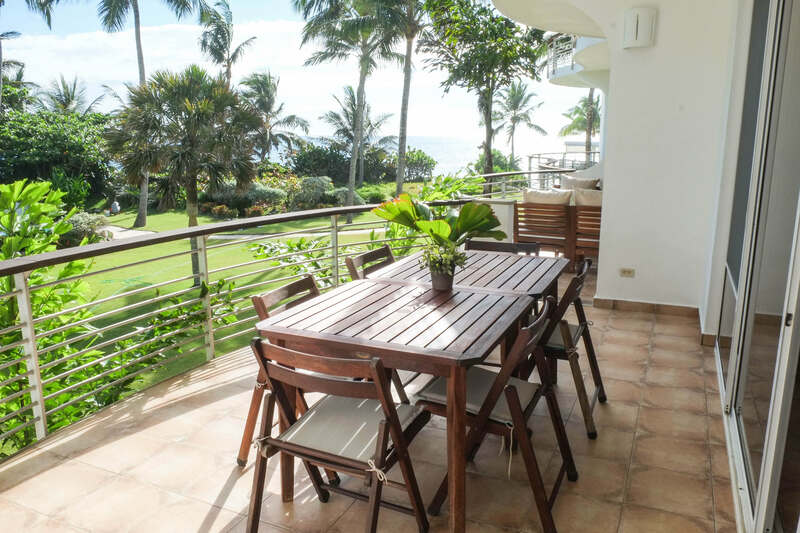 Beachfront and just a few steps from the best wind- and kitesurf spots, Olas de Oro is near the Cabarete festive vibe but far enough to enjoy a peaceful ambiance and relax! 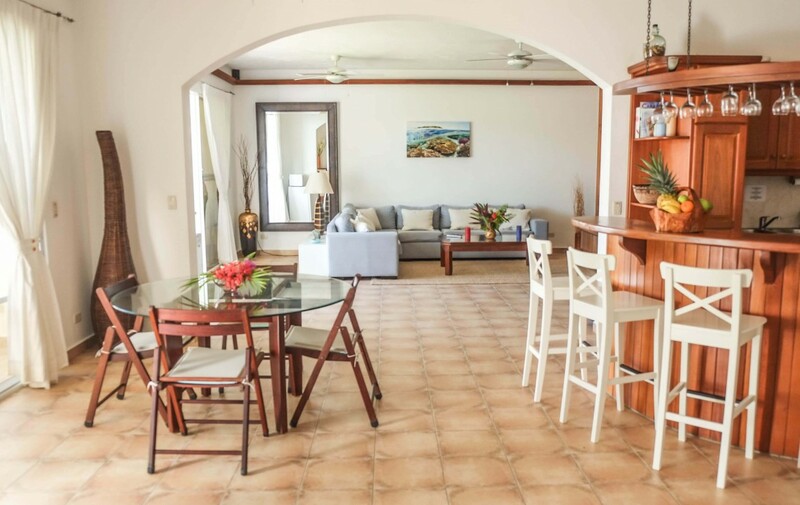 Vista de Oro is a privately owned apartment building inside Olas de Oro. 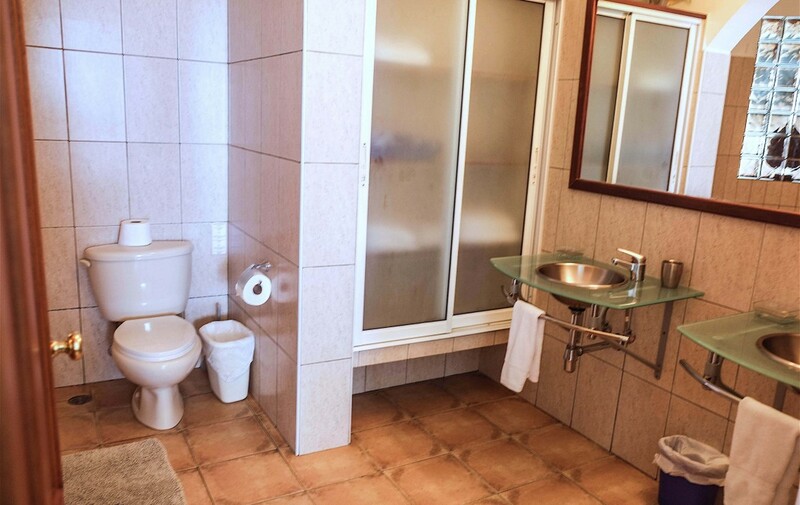 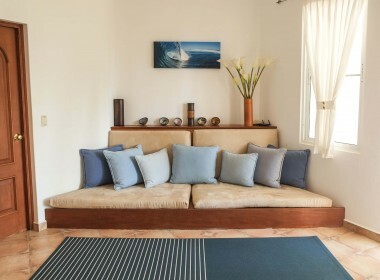 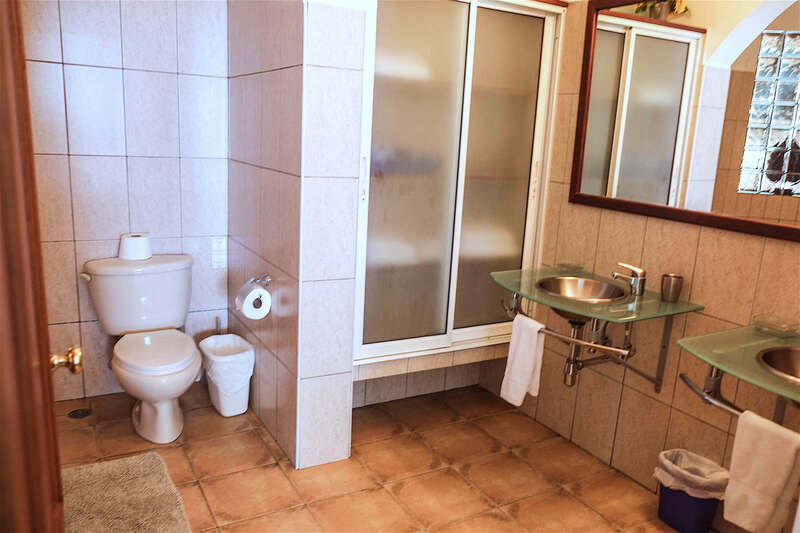 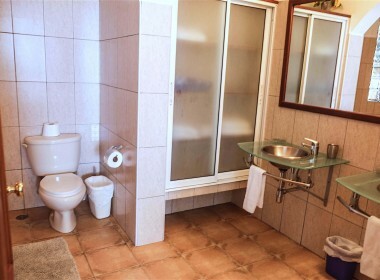 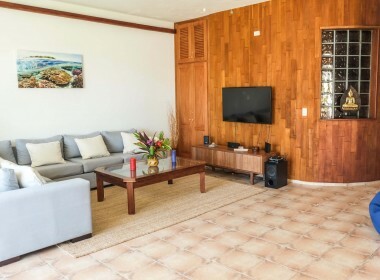 This beautiful property features 10 units of 1 to 3 bedrooms. 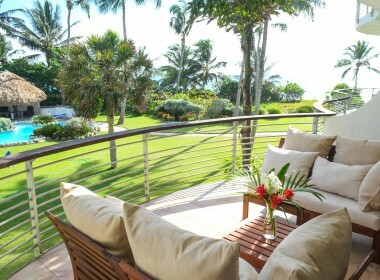 All the apartments offer beach view from their terraces and a luxury living style. 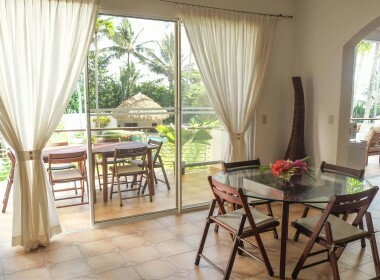 Vista de Oro amenities include a common swimming pool, a slide for the kids, and a large gazebo for relaxation. 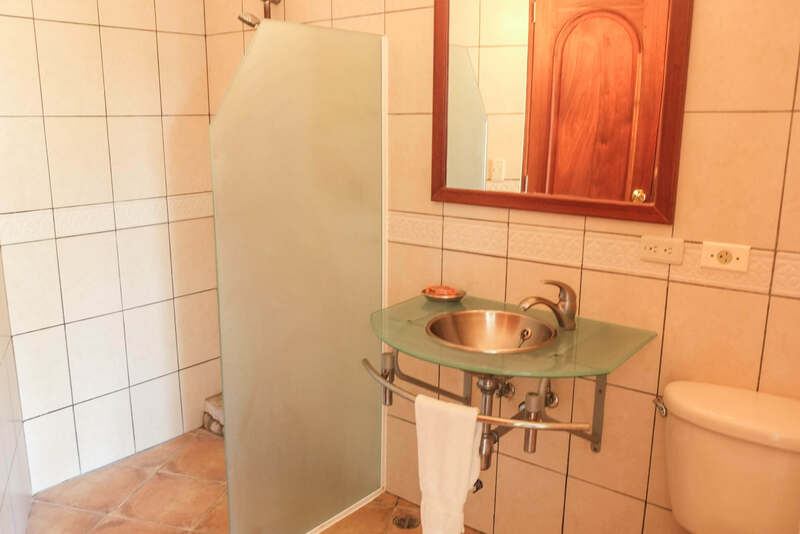 Also, parking area and private security 24 hours. 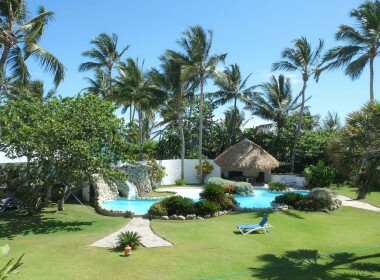 Enjoy the big lawn area for sunbathing or preparing the kites and watch the sunset from our private dune. 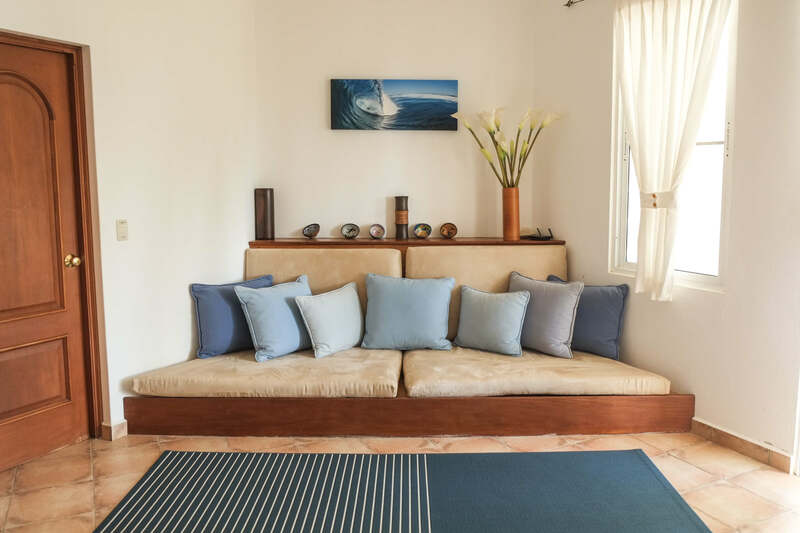 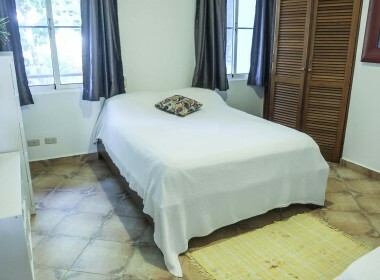 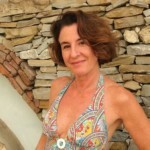 Bohemian and very spacious 2nd-floor apartment in Vista de Oro. 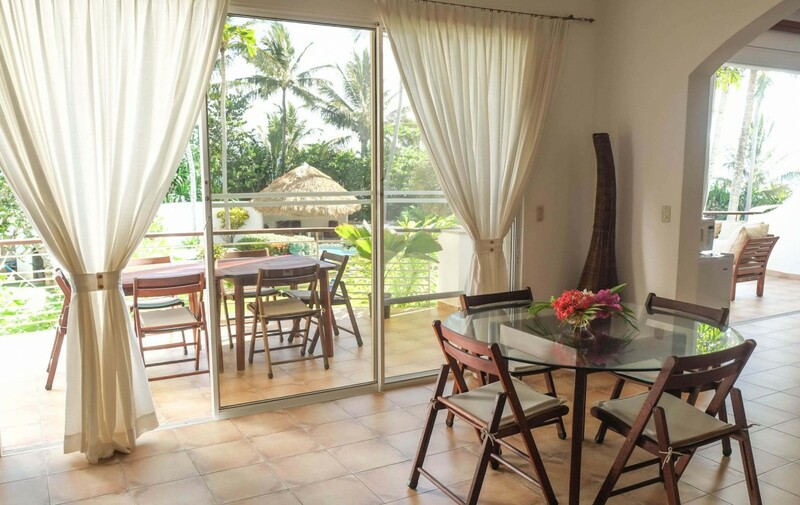 This Condo has warm nice furniture and lots of space. 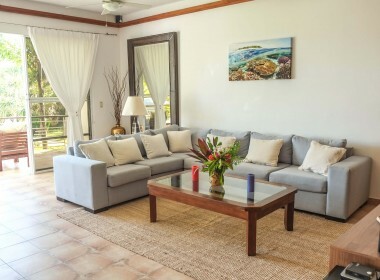 The large living room features an open space with a dining area, a resting area, and an American style kitchen. 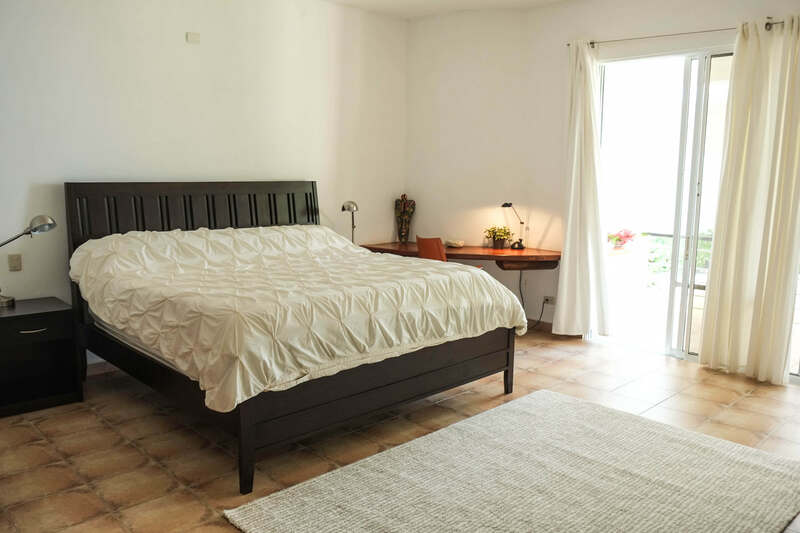 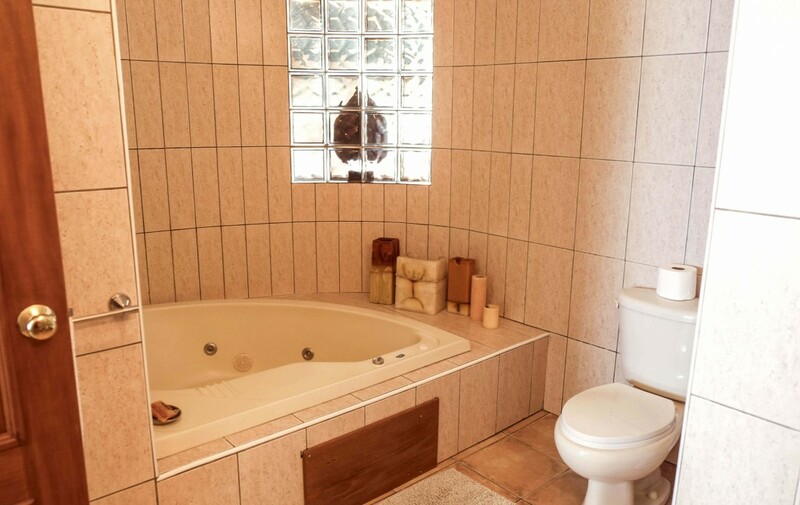 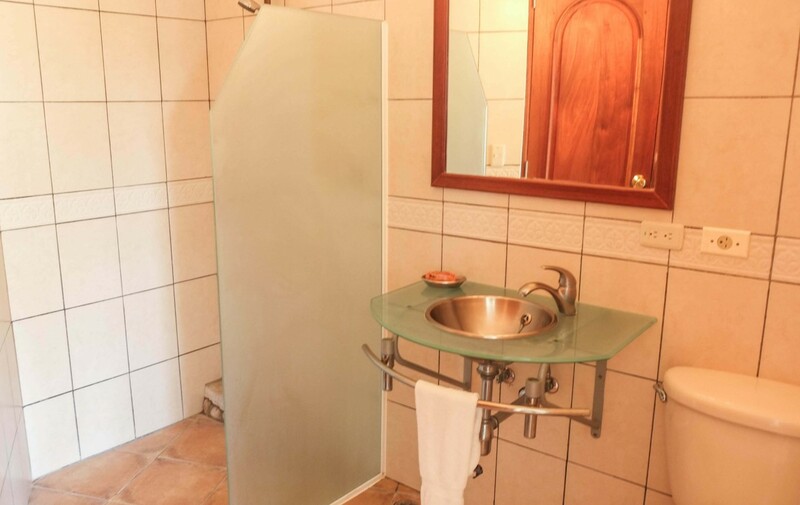 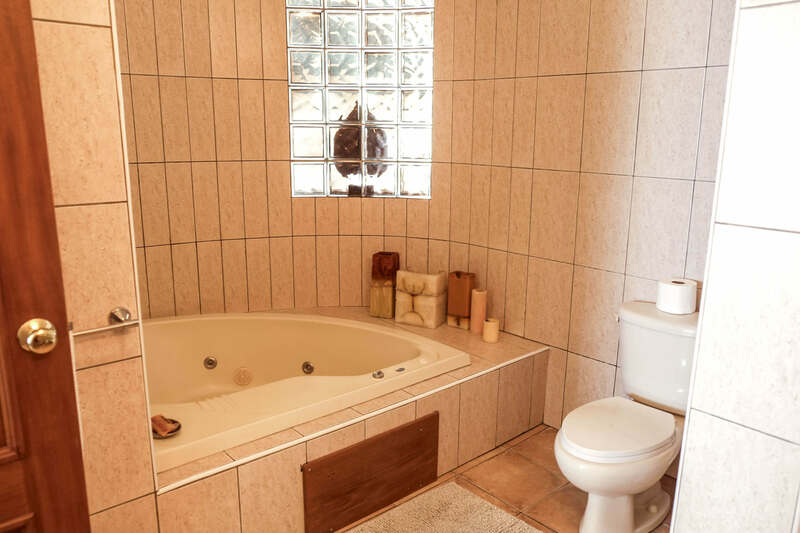 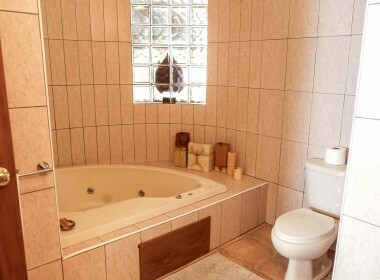 The bright main bedroom has a private bathroom with a jacuzzi and its own balcony. 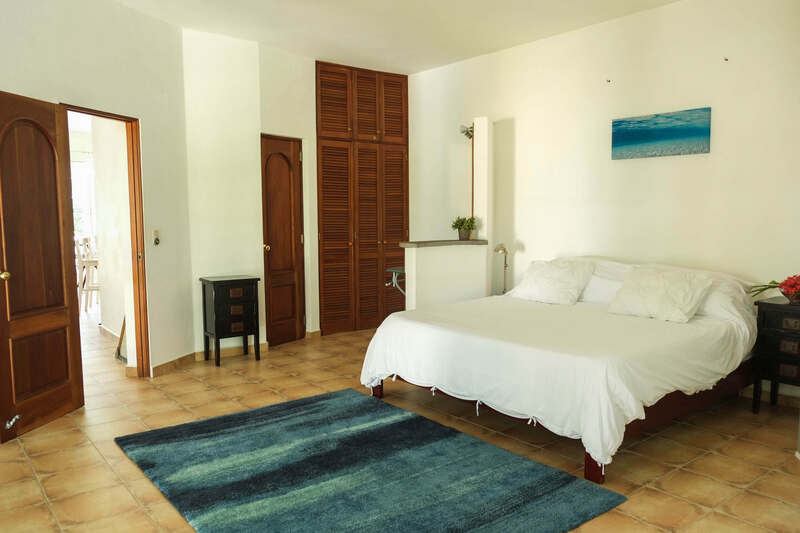 The second bedroom is huge and the third bedroom is special for kids. 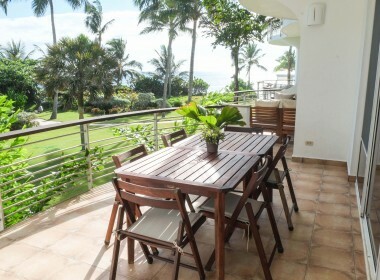 Beautiful ocean view from the large terrace, and private balcony in two of the three rooms. 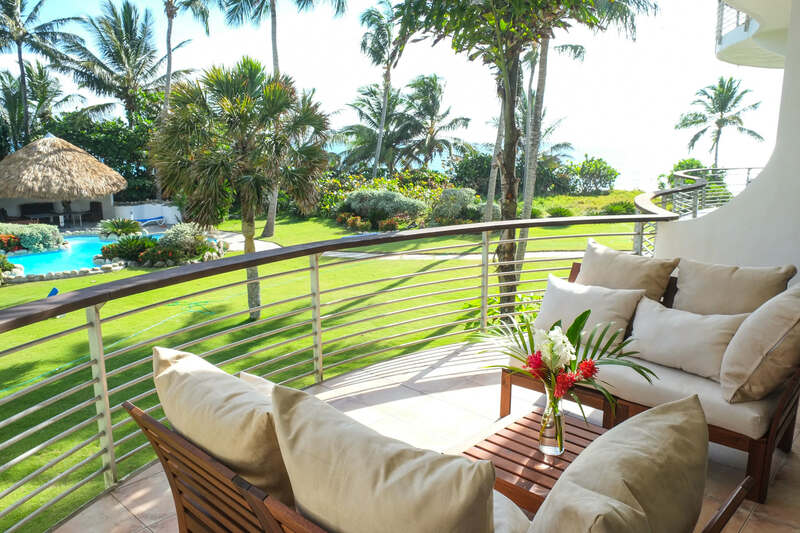 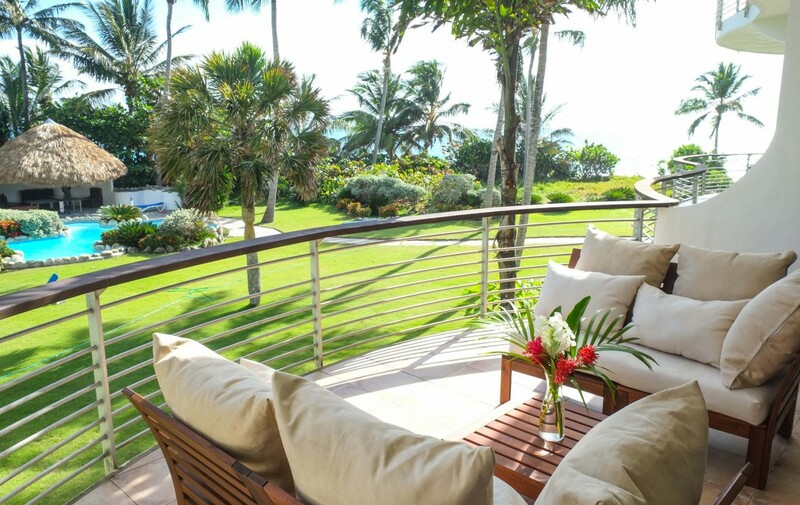 This Condo is special for relaxation overlooking the ocean. 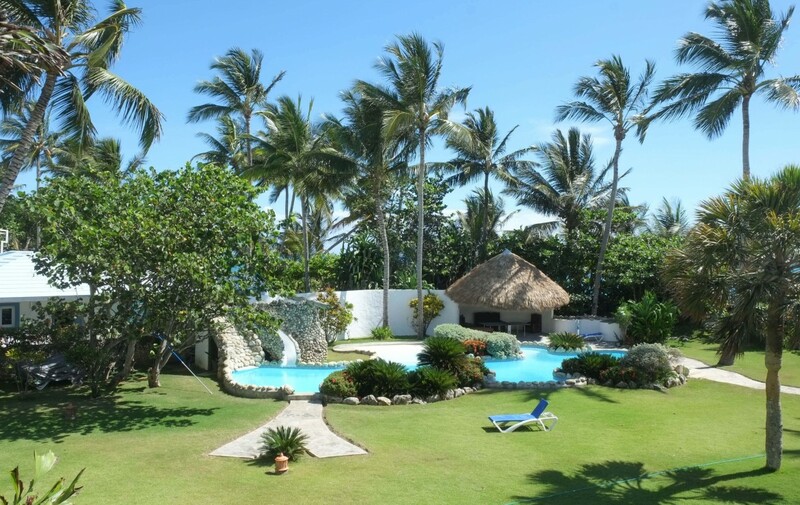 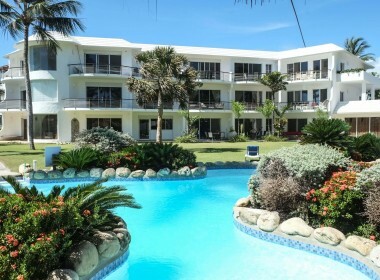 Also, enjoy the swimming pool surrounded by a tropical garden just steps from the beach. 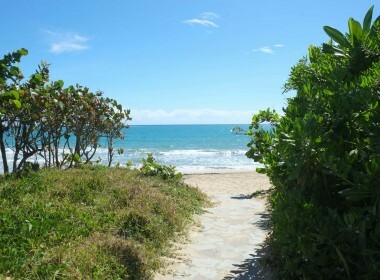 If you are a water sports enthusiast this is your place! 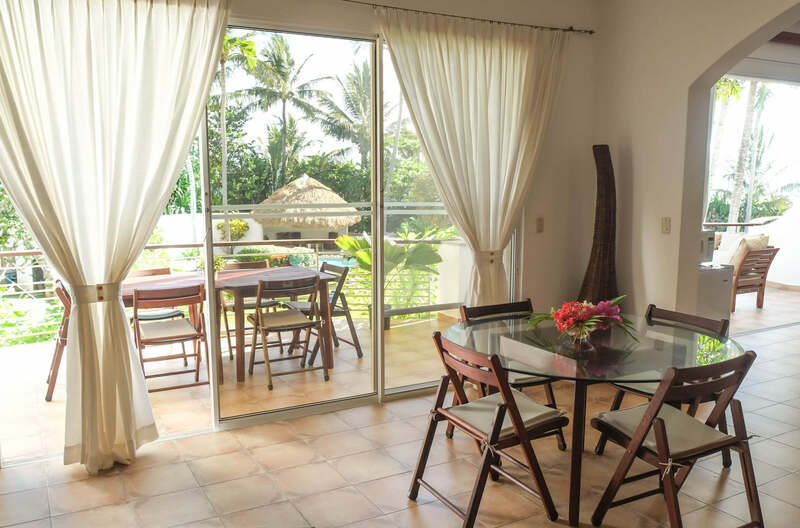 Private access to the beach and walking distance to everything you need for an unforgettable vacation. 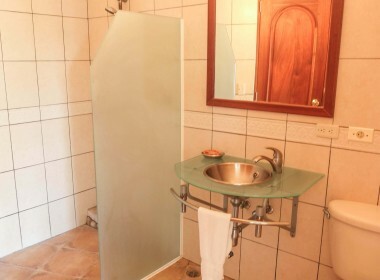 For up to 7 persons.